As in the original edition, this book contains over 200 prayers (revised and updated for this edition), arranged thematically around subjects of interest to children. There are prayers of petition, thanks and praise - both traditional and contemporary - and a section of prayers for special occasions. The prayers are indexed under subject and first phrase. ;There are colour photographs of children from many different countries - selected from the work of several international photographers. 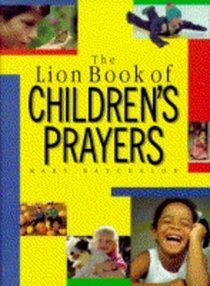 About "The Lion Book of Children's Prayers (New Edition)"